Free Searchable Databases | Royals | Famous | Historic | Your Family? This subdomain http://www.newsite2009.maximiliangenealogy.co.uk will be running alongside the domains of http://www.database.maximiliangenealogy.co.uk, http://www.maximiliangenealogy.co.uk and the original http://www.maximiliangenealogy.com. This means that every death recorded in England & Wales from 1837 to 2006 is listed and records are searchable with as little as just a surname. This saves you hours of trawling through pages of search results to spot just one ancestor! There are FREE database's, including our Master Database 2000, which has over 40000 individuals with connections to people from Europe,(including France, Germany, United Kingdom, Netherlands, Belgium,Norway, Sweden, Russia) plus USA, Canada, Australia, New Zealand & many others. All this information will assist you to trace your ancestors. Coat of Arms, Henry VIII, Burkes Peerage, Royal & the Famous are just a few of the many features in this site. Once again Maximilian Genealogy has been highlighted on a UK Genealogy Magazine. 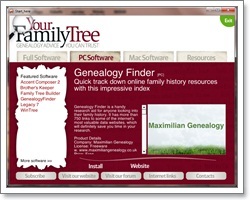 In the August 2010 issue of Your Family Tree magazine our Freeware "Genealogy Finder" has been supplied on the Cover Disc under the "Featured Software". You can obtain this as a free download from this site as well. Please click on the image below, and don't forget to tell your family & friends about this site as well as the online database where you can get a free trial. Detailed preparations are under way for the royal wedding next spring or summer of Prince William and Kate Middleton. Prince William is to marry long-time girlfriend Kate Middleton next spring or summer after the couple became engaged in Kenya, Clarence House announces. The Queen Mother had colon cancer at the age of 66 and surgery removed a tumour, her official biography reveals. 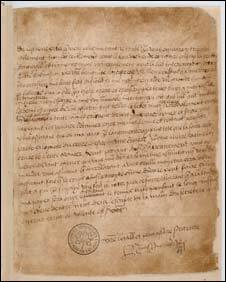 19 February 2008 - A copy of the warrant for the execution of Mary Queen of Scots has been saved for the UK. 1 August 2006 - Mary Queen of Scots' death mask, her sapphire ring and a casket worth £1.5m have gone on show in Edinburgh. 12 October 2008 - A Nationalist MSP has called for the remains of Mary Queen of Scots to be returned to Scotland. The last letter ever written by Mary Queen of Scots is to go on display for the first time in 30 years. Veteran US Senator Edward Kennedy, the brother of former President John F Kennedy, has died at 77, after a long battle with a brain tumour. An Auckland man helping people reunite divided families has won a legal war over words with the massive Mormon church. An exhibition of the most complete collection of King Henry VIII's personal arms and armour is set to open in London. 7 Advantages Of Mobility Aids And How You Can Make Full Use Of It.